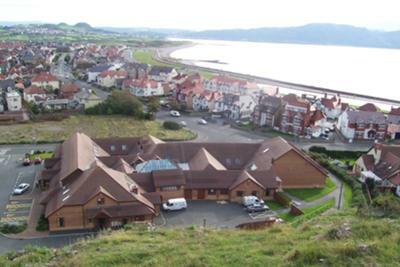 St Davids Hospice, based in LLandudno provides free palliative (end of life) care to adult patients from across North West Wales from Holyhead to Llandudno. This year,it celebrated its 10th anniversary as a purpose-built Hospice caring for patients with cancer, end-stage heart disease, kidney disease and more, as well as their families and carers. With Day Care and Inpatient facilities,the Hospice offers an easily accessible haven for patients who may need some respite care or just a break, where they can enjoy aromatherapy, reflexology, clinical and counselling services or just a meal and a chat with other patients and staff. It costs approximately £1.5 million to run clinical services at the Hospice and just over 75% of the income comes from community fundraising efforts. Volunteers and fundraising events are always welcome for the local charity and if you would like more information on referrals or the services provided, please call (01492) 879058 or visit the St David's Hospice website here. If your school,college or local organisation would like the Hospice Communications Officer, (Rachel Owen from Holyhead), to hold a talk or presentation about the hospice, please contact us.